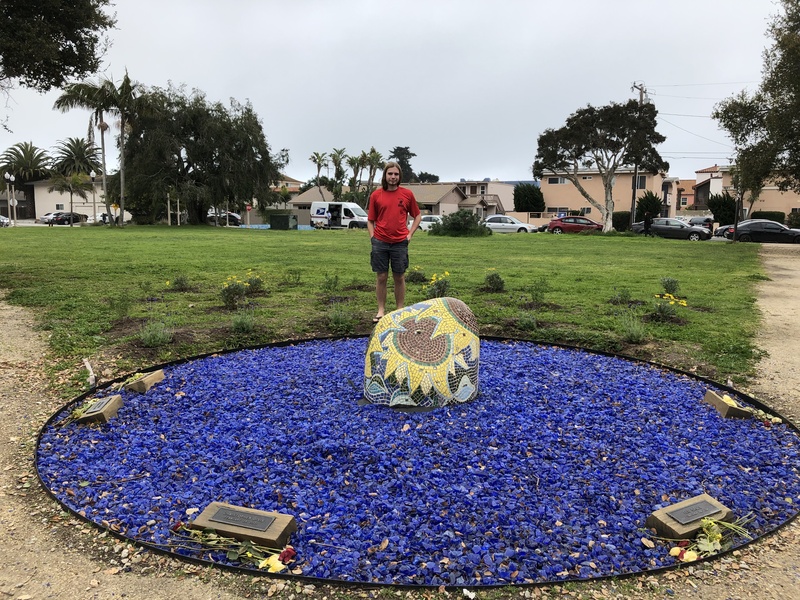 The Boy Scout Eagle Community Service Project was chosen by Steven Holm of Goleta, a 17 year old senior at Dos Pueblos High School and a member of Santa Barbara Scout Troop 1. He was the project leader, planner, fundraiser and work supervisor for the entire project from start (12/15/2018) to finish (2/23/2019). 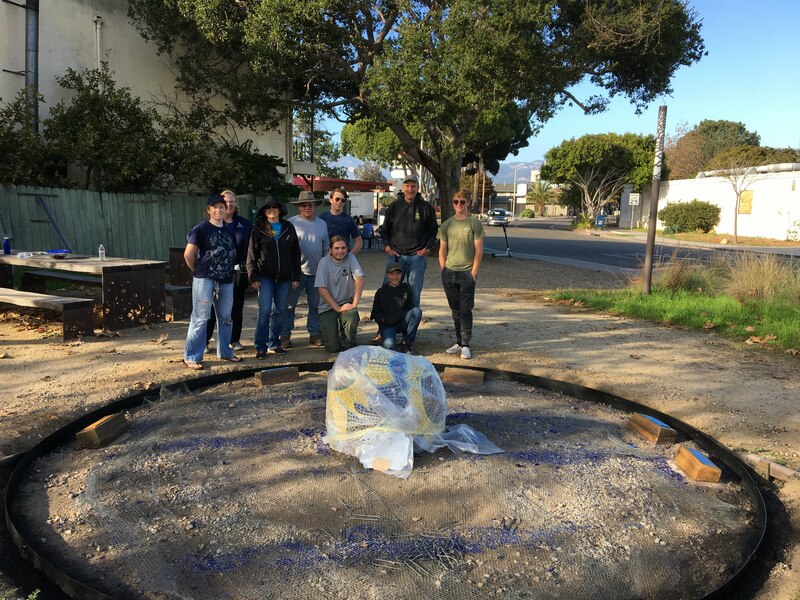 15 scouts and 11 adult leaders worked on the project for a total of 171 volunteer hours over 5 days. 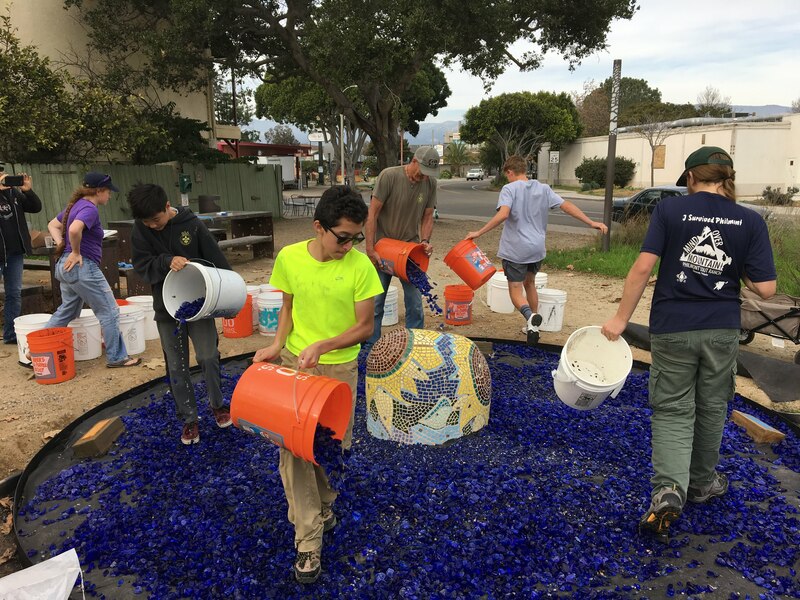 The blue tumbled glass was removed, cleaned, and 1000 lbs. of new glass was added. metal rim was cleaned, scraped, wire-brushed, sanded, and re-painted. The plaques were cleaned, polished and the wooden holders were sanded, and water-sealed/stained. The gopher shield was re-worked, and new weed cloth was replaced, sealed and tied down. 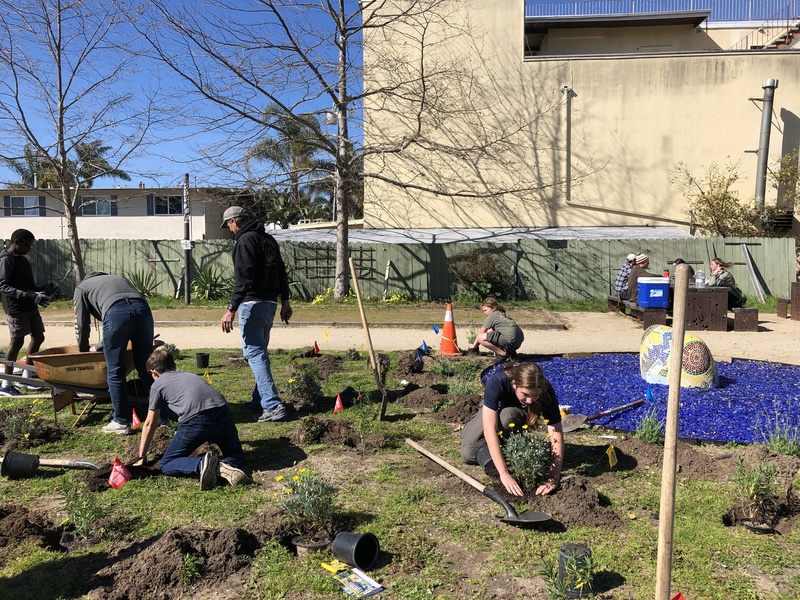 Finally, after waiting 2 months for the rain to stop long enough to dry out, 27 plants were added behind the memorial to enhance the entire area. 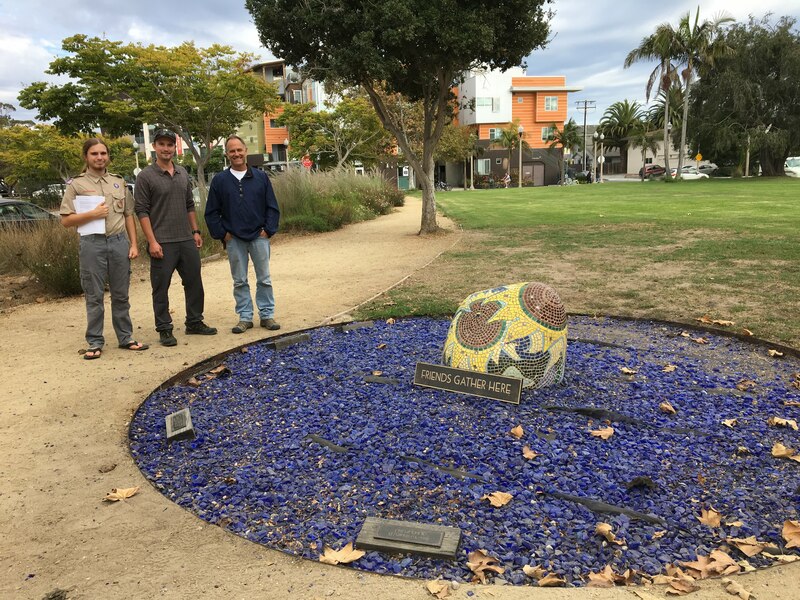 Copyright © 2015 Isla Vista Recreation and Park District. All rights reserved.